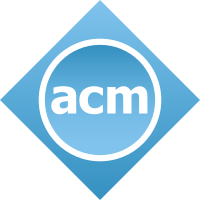 The organisers of CHI 2019 strongly support the ACM’s policy against discrimination and harassment. We commit to providing a nondiscriminatory, harassment-free, and accessible and pleasant conference with equity in rights for all. We want every participant to feel welcome, included, and safe at the conference. Moreover, we will do our best to accommodate specific needs such as accessibility, or dietary requirements. We cannot promise to solve every issue, but will try our best. We expect all interactions between CHI members to be respectful and constructive, including interactions during the review process, at the conference itself, and on social media. Conference participants violating these rules may be sanctioned or expelled from the conference (without a refund) at the discretion of the conference organisers. A response that the participant was “just joking,” or “teasing,” or being “playful,” will not be accepted. Anyone witnessing or subject to unacceptable behaviour should notify the Conference Chairs. For more, please read the ACM Policy Against Discrimination and Harassment.